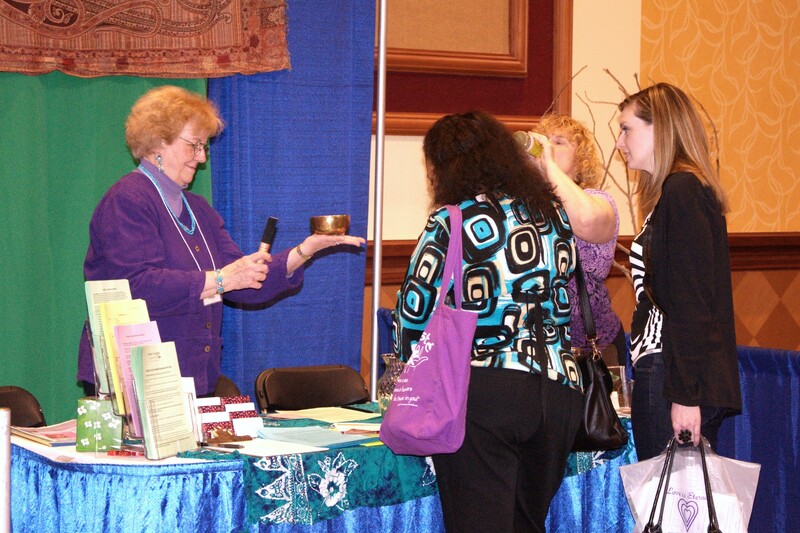 Joy demonstrating the resonance of a singing bowl. 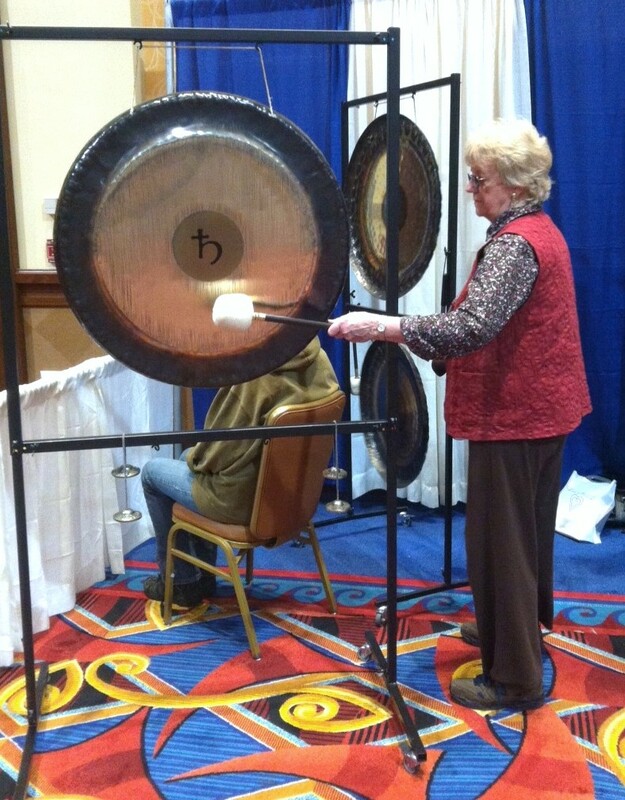 Gongmaster Joy and Drumsinger A. Michelle met and demonstrated for many of the Expo attendees on the benefits of sound healing. 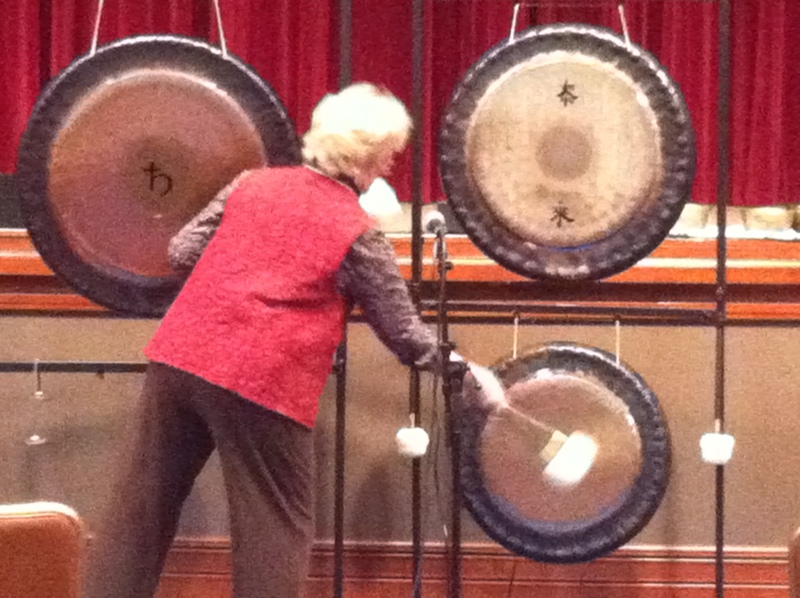 The sound of the gongs creates a vibrational field where concerns, worries and obstacles are suspended, and our minds can float freely into new possibilities, resulting in increased clarity, inspiration and creativity. 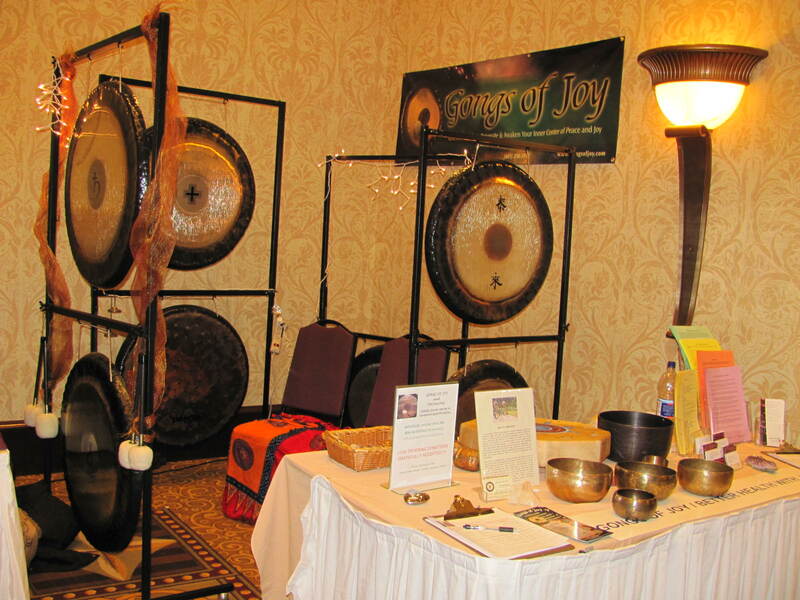 The vibrational overtones of the gong harmonize with our innate consciousness to promote spontaneous self-healing that results in emotional stress release, chakra alignment, energy clearing and balancing, and an overall state of peace, harmony and deep relaxation! 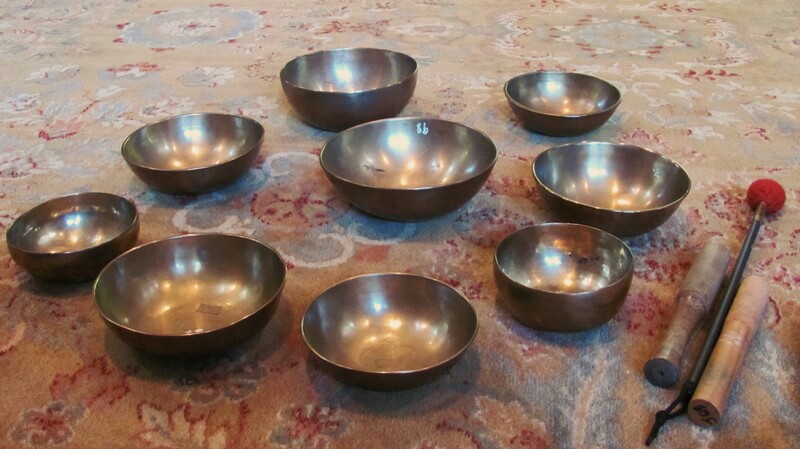 Experience sound healing through the bronze gongs, Tibetan singing bowls, crystal singing bowls, drums, rattles and other vibrational instruments that can help you wash away worries, concerns, and obstacles that keep you from connecting more deeply to your true nature – the sacred self. 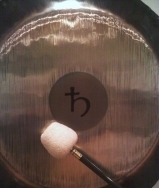 A gong bath is like a very deep and lasting massage, by tuning the physical body and soul to the greatest possible resonance. 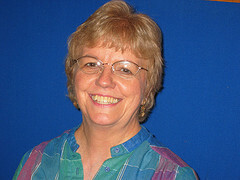 Usually lying on a mat on your back in savasana position (flat on one’s back with the arms by one’s sides), receiving the sound energy of the gong as it is being played, moving through the nervous system – opens, clears and recharges the whole mind, body and spirit, which triggers a meditation, a contemplative state in which we have the opportunity to relinquish control of the mind. Negativity and stress are suspended, resistance is cleared, and the whole being is reset to a state of synchrony and alignment. 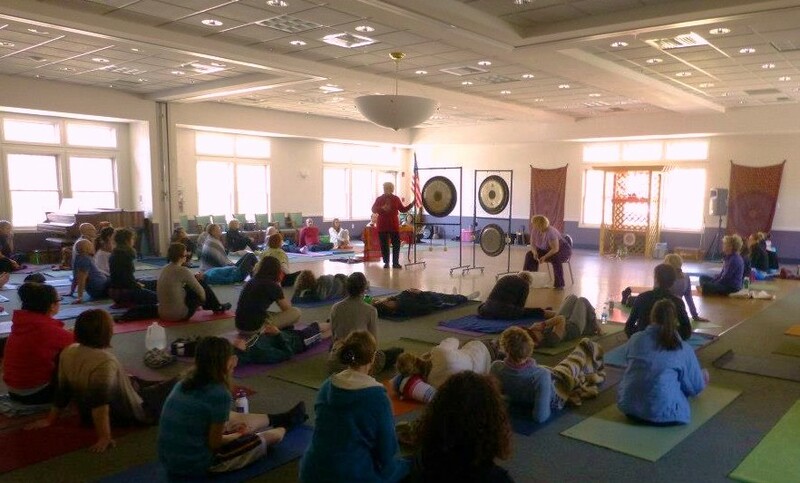 Join A. Michelle and Joy for an experience of sound clearing and harmonizing at one of our gong bath meditation sessions. The focus will be to clear, energize and balance each of your 7 energy centers, known as chakras, through the deep vibration and resonance of the gongs. 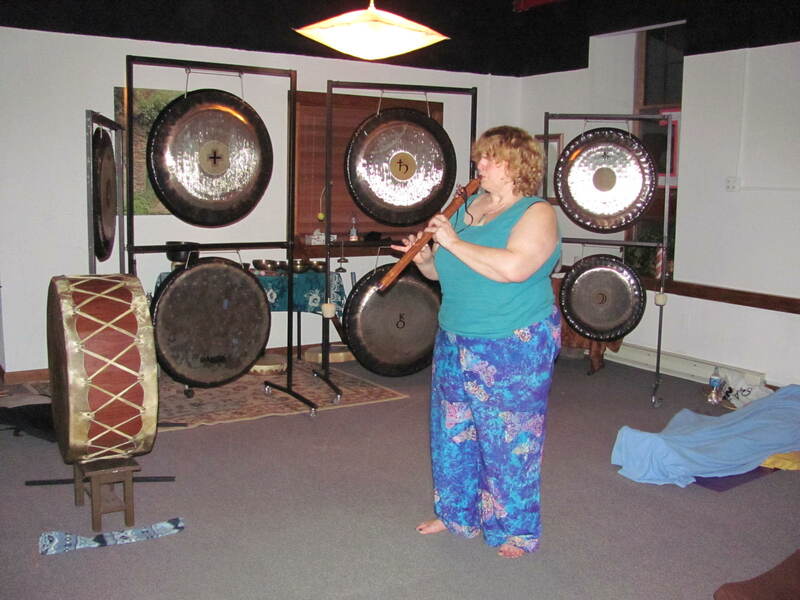 This extraordinary sound experience allows you to rest into your deeper self and move into a dream-like state while waves of gong tones wash over your mind, body and spirit. 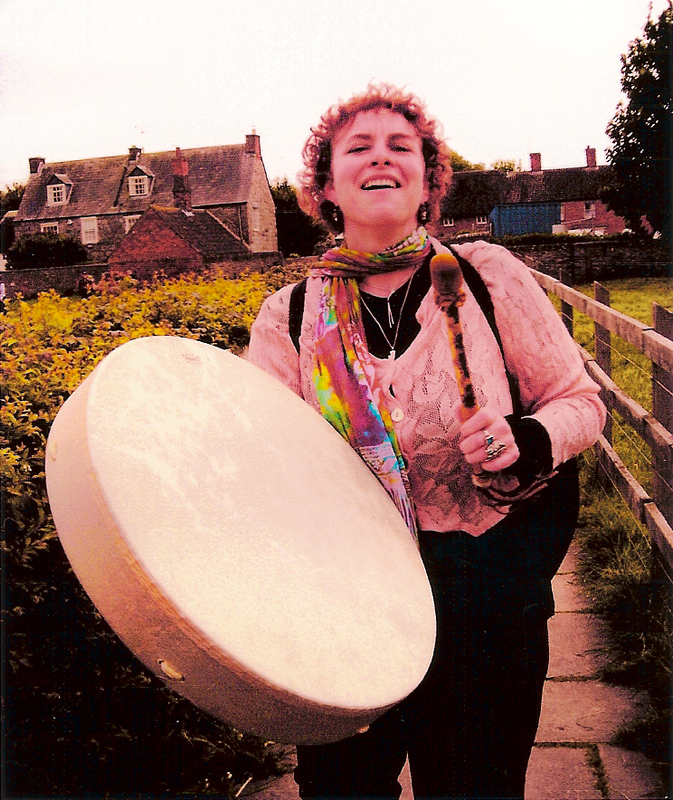 Immersed in the total sound of holistic resonance, you can reach a state of deep relaxation, rejuvenation and peace. Leave with greater clarity, inner peace and a deeper connection to your truth and joy!